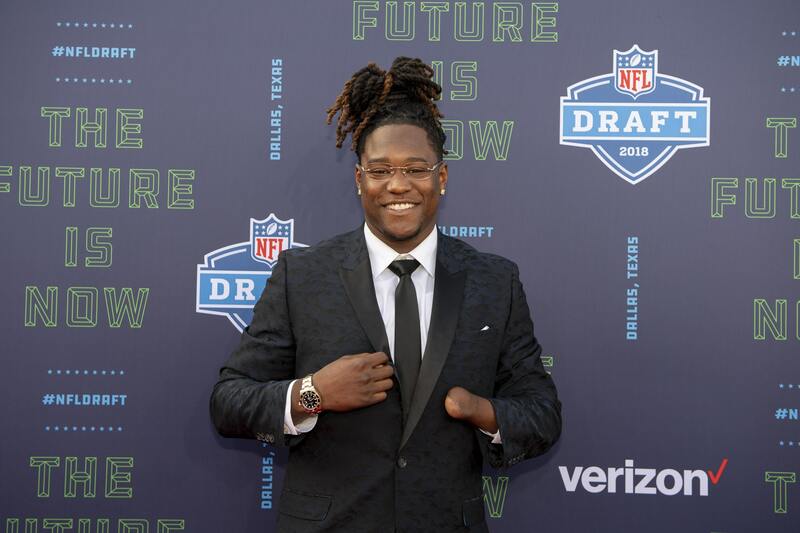 Shaquem Griffin is not only a talented member of the Seattle Seahawks, but he is a huge inspiration to many. His ability to overcome the loss of his left hand has turned him into a living legend, and on Sunday he shared time with a young boy who has a similar predicament. Check out this heartwarming video showing Griffin tenderly embracing a little guy who is missing half an arm.
.@Shaquemgriffin continues to be an incredible inspiration. Born with Amniotic Band Syndrome, which led to extreme pain in his left hand, Griffin had it amputated when he was just four years of age. But rather than set him back, the affliction has driven Griffen to strive all the more to accomplish his dreams. In the process, he’s given hope and inspiration to many others, including the young boy in the video. Griffin’s willingness to give his time to encourage others also led to him becoming this year’s recipient of the NFL Honors’ “Game Changer” award.